Well, the Angel on top gets tossed out with the tree. It’s adios to “Angels and Assholes.” Thanks to those of you who were followers. The night the twins were born I remember I couldn’t sleep. Don’t know if it was because of the recliner in the hospital room that really didn’t allow me to recline or the hang-over of excitement from watching the doctor pull two…TWO scrawny little angels out of that tiny space. Regardless the reason, as my wife slept a worn-out-from-the-most-important-job-in-the-world-sleep, I couldn’t. We had gotten pregnant when Mary was still in high school, a senior, editor of the year book…a post she was, unfortunately, asked to abdicate at her private school. I had just started college—the University of Minnesota—at the time planning on dentistry…my mother’s choice. Her father had been a dentist but died at 39, my mother only 10. Mary’s parents were older, had been through this dilemma with three of their seven children and so…no question: marriage. I had waited to tell my parents. Waited until I knew what I would decide to do. Considered all of the alternatives…although too late for the obvious choice: contraception. What was that burr? That pin prick of subconscious irritation that wouldn’t let me close my eyes? Christopher Jon had been born prematurely two months after our wedding and survived only ten hours. Nobody dared say it, but we knew everyone but us was thinking: “You wouldn’t have had to get married.” We didn’t regret our decision. I stayed in school; we lived in a trailer…at least we owned it so it was a home; Mary and I both were working 40 hours a week; no health insurance except Health Services at the U. So the smart thing to do, of course: use birth control, graduate, and, then, do the great children thing. But...no. Seeing that baby, that miracle, was simply too much. Fourteen months later Eric Jon was born. What if we had made the smart decision? I did finish college…shortened a bit by becoming a high school teacher…taking only four years rather than six or more for dentistry. Summers off seemed a decent tradeoff: less money but summers free. Took a sabbatical from my school district and Mary and I taught at a school in Bogotá, Colombia. Unfortunately, well actually fortunately for us, there are lots of unwanted pregnancies in third world cities (many of those folks had not heard of contraception)…so: Alexandra. Our best friend in Bogotá was a non-cloistered nun, Sister Antoinette, a remarkable woman. She introduced us to her friend, Mother Denise, one day at her home for unwed mothers. Mother Denise thought it was “providencia” that we had been introduced just as she was about to call and tell prospective parents in France that their baby was born and ready for adoption. Mother asked us if we had ever thought of adopting. Mary and I looked at each other: we were both teaching, which was fine with both Eric and Emily in school, but what would we do with a baby? Not smart. We wound our way down a corridor, up to a choir loft, of all places. “Wait here”… and in no time out she walks with a beautiful black-haired, black-eyed baby girl three days old. What if we had made the smart decision? My counting of babies, up to three by now in case you’re not paying attention, was not getting me any closer to sleep. Much the opposite. That sinister nag had not left. So we returned to the States with Eric, then 10, Emily, then 6, and Alexandra Denise, 7 months. By then Mary and I had heard of contraceptives, condoms being the current method of (Mary’s) choice. Rationale: with a new house, a meager teacher’s salary, and Mary home with three kids…smart to wait to have any more of the little critters. So: “How twins nine months later?” you might ask. Well, as I shifted in the recliner, having counted my children—currently to five (six, counting Christopher Jon, whom we had lost)—I started looking into the future. I saw Eric winning the mile and half-mile all the way through college; I saw Emily beating everybody in the hundred yard dash; Alex growing into a talented, beautiful woman; I saw myself finally having the time to coach the twins, in soccer, becoming the best team in the state and winning national tournaments…saw them all getting college scholarships. I visualized grandchildren: Eric finding a Lisa…a wonderful woman, complementing my son perfectly, who would mother their five children; I pictured Emily finding an Erik…a marvelous man and father, of course, and: maybe three more grands; Alexandra and the twins eventually contributing to the happy, loving family. Maybe the youngest twin (we named her Erin), finding a remarkable man, maybe a Todd, and at least two more grands. Adriann, the oldest twin, getting engaged to a great fella, maybe an Andy, who fits right in; Alex drawing out the anticipation…all of us waiting to see who she would bring into the fold. The realization pierced my soul: What if I hadn’t insisted? What if Mary had decided to persist? It would naturally have been the smart thing to do with Alex less than a year old. But, my Lord, knowing what we know now, how we would have regretted that decision, attempting to manipulate fate. What if she hadn’t now decided to have her tubes tied? It was definitely the smart thing to do, wasn’t it? 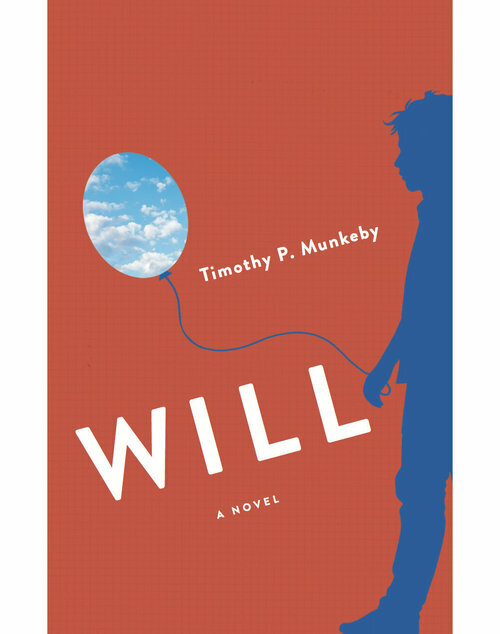 I recently published my latest novel, Will. If you haven't read it yet, pick up a copy and, if you like it, pass it on. It would make a great gift for the millennials in your life or anyone else who cares about fixing what’s wrong in our world today.